This class introduces the Real Estate Agent and Mortgage Professional to the new Closing Disclosure established by the Consumer Financial Protection Bureau (CFPB) and the associated changes affecting the RESPA documents, Good Faith Estimate, Truth-In-Lending, and HUD1/HUD1A Settlement Statement. Understand how these upcoming policies will impact your business, affect consumers, and change the lending process. Educate yourself today so that you will be prepared tomorrow! 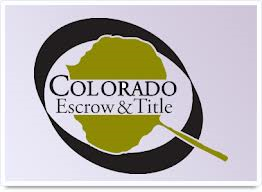 Colorado Escrow & Title has proudly been serving the Colorado community since 1985. Our goal is to focus on what we believe has become an under-served market: the individual real estate professional. We are relationship focused, committed to service excellence, and believe in a solid business-to-business approach. A genuine full-service entity, Colorado Escrow & Title not only handles standard residential refinance and re-sale transactions, but also possesses the industry-leading talent to handle commercial, farm, ranch, and water transactions.